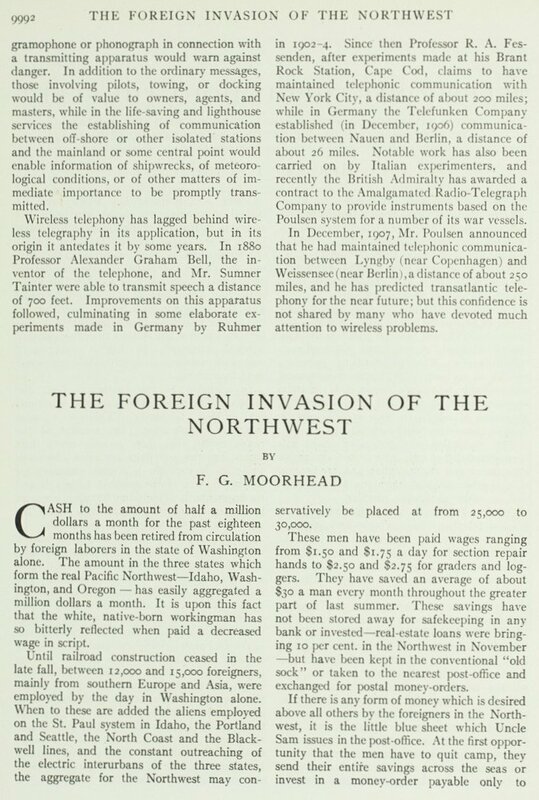 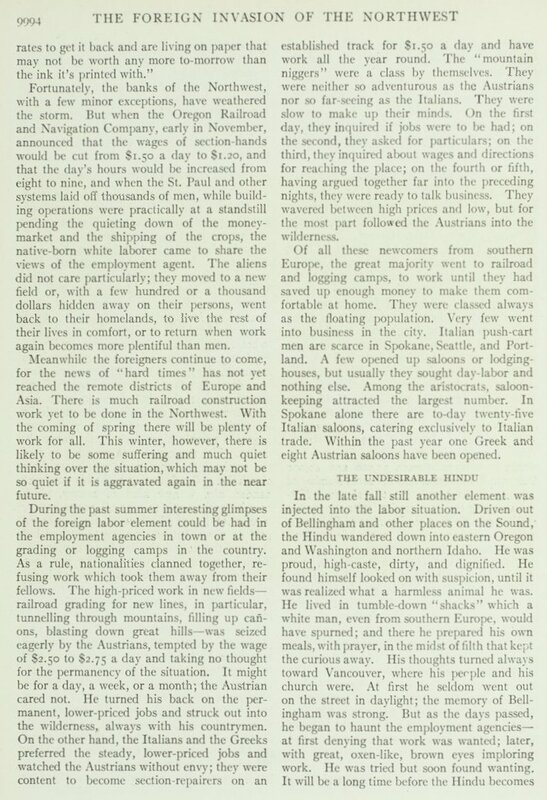 An article by F.G. Moorhead published in the March 1908 issue of The World's Work, which describes the increased labor force from southern Europe and Asia in the Pacific Northwest as a problem. 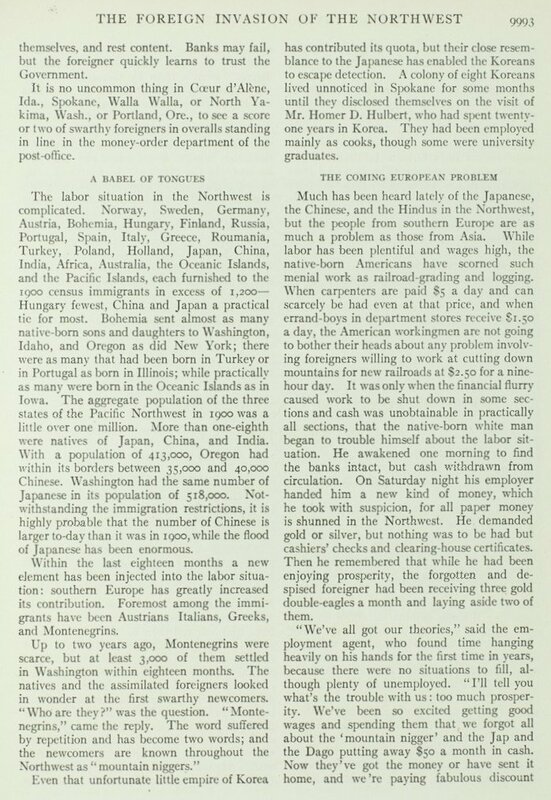 Moorhead writes, "Much has been heard lately of the Japanese, the Chinese, and the Hindus in the Northwest, but the people from southern Europe are as much a problem as those from Asia." 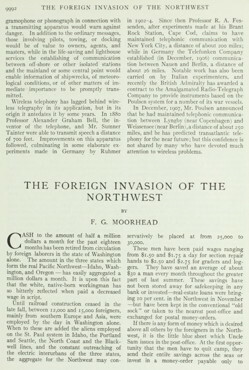 In a section titled "The Undesirable Hindu," Moorhead describes the migration of Hindus, who were driven out of Bellingham and other parts of Puget Sound, "wander[ing]" down into easter Oregon and Washingt and northern Idaho." 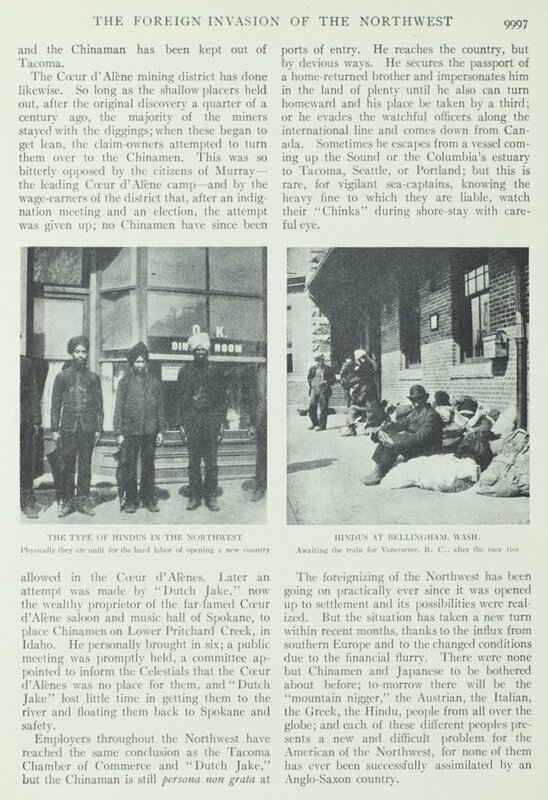 Moorhead creates a profile of the Hindu subject, "proud, high-caste, dirty, and dignified," "[h]is thoughts turned always toward Vancouver, where his people and his church were," frightened to be "out on the street in daylight; the memory of Bellingham was strong." 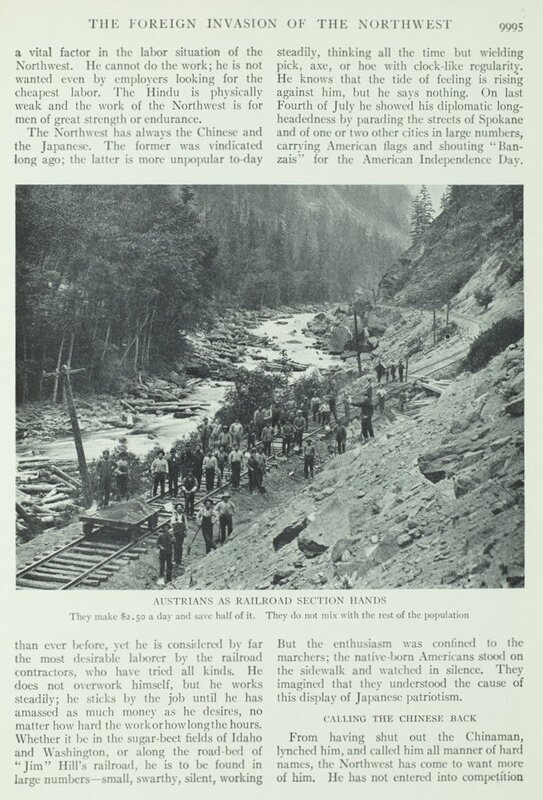 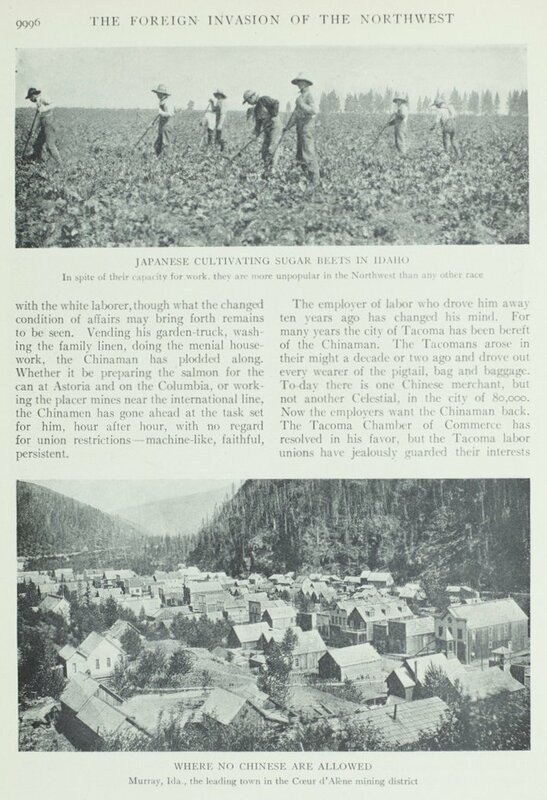 Includes five images with the following captions: 1) Austrians as Railroad Section Hands, 2) Japanese Cultivating Sugar Beets in Idaho, 3) Where No Chinese Are Allowed, 4) The Type of Hindus in the Northwest, 5) Hindus at Bellingham, Wash.